Looking for a “Commercial Fence Installation near me”, look no further. Los Angeles Fence Builders is the top commercial fence company in Los Angeles. 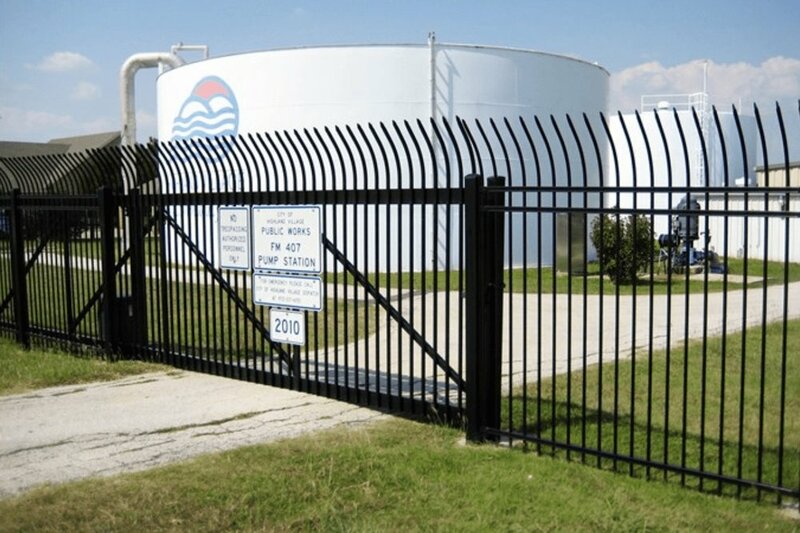 Our commercial fence installations are built to keep your business safe and protected. We provide privacy fence installations as well as security fence installations. We have a wide variety of styles and designs to choose from. All our onsite project managers have over 20 years of installation experience and are experts in the fence installation process. Our security fence line includes Wrought Iron, Steel, Aluminum and Chain Link. We also install razor wire chain link tops, barbed wire chain link, privacy screen, chain link windscreen and privacy slats. Commercial chain link in Los Angeles is a common installation and one we do often. Browse through our gallery and choose a style that fits your needs. 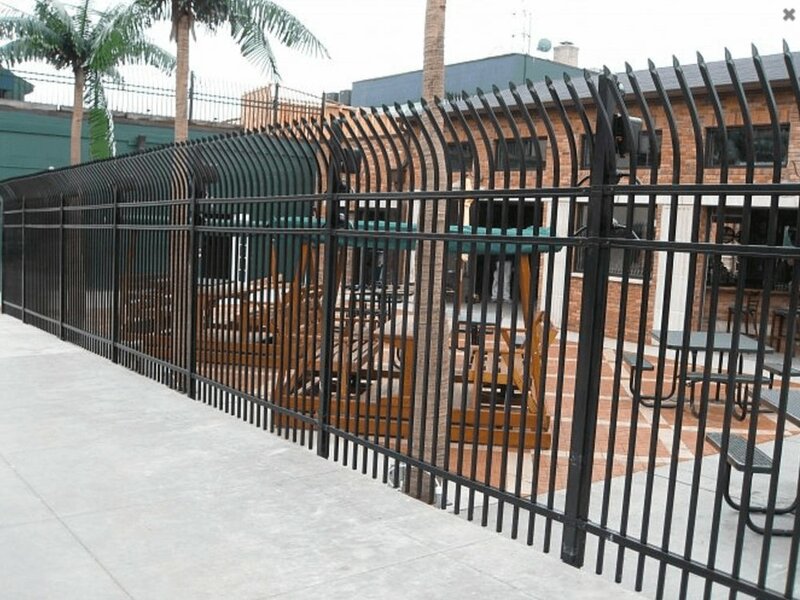 Companies all over Los Angeles are looking to protect their businesses with top quality fencing and gates. Business owners trust us with their fencing and gates needs because we provide the best customer experience and only use quality materials. Wrought Iron is one of the most popular and commonly used materials for commercial projects. This comes in different styles and designs for both simple fencing and security fencing. Clients often use wrought iron commercial fencing to secure their property or close in their parking lot. 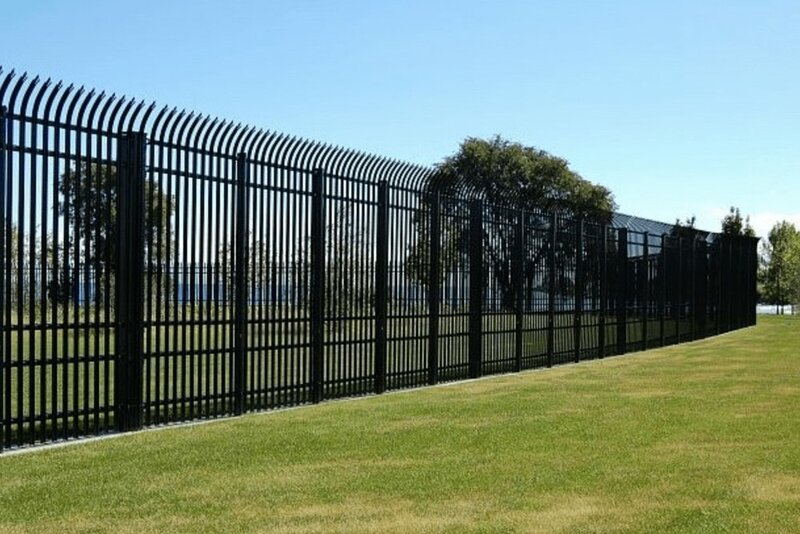 For high security facilities fencing tends to be taller and using guardian style fencing. Automatic gates are also commonly installed to allow easy access for employees. These gates insure that only authorized individuals are gaining access to fenced in areas. Chain link is also a commonly used material for commercial projects. This is an affordable option that keeps out any potential break-ins and discourages any unwanted attention from your facility. Other add ons that are available to give your chain link fence added privacy and security are privacy slats, windscreen, razor wire and barbed wire. These are highly effective add ons that won’t break the bank. Our chain link commercial fencing is installed by experienced professionals who have years of experience building fences to protect businesses and properties like yours. Common commercial projects include warehouse fencing, self storage, high security facilities, government buildings and employee parking lots. Many of these commercial projects are looking for high quality fence and gate installation. Making easy and secure entrance and exits from these fenced areas is important and a reason we offer automatic gate openers. These gates are for commercial use and are made to handle heavy use. We have many different options for openers, including keypad entry an remote controlled entry. This ensures that only authorized access is allowed. Why Choose Los Angeles Fence Builders? Our expert builders have years of experience building all kinds of fencing and gates in Los Angles. We take pride in being able to not only help clients build fences but being able to educate them on how to maintain their fence so it lasts a long time. Regardless if you decided on having us build your next fence project we guarantee that after we visit your project site you will leave knowing exactly what you need to accomplish your project. We leave no stone unturned. The construction industry is notorious for no-shows and postponed deadlines. We understand that things happen, but we take our promises seriously and want you to know that you are our number one priority. Communication is a big deal, so whether you are a prospective client or a paying customer we make sure to communicate with you about the scheduling and your projects process. We take pride in our customer service and reliability. You can count on us to be on time and on schedule. Our Crew builds fences as if they were building a fence for their own home. We see so many builders cut corners to get finish a project and collect a check. But what we care most about is that your fence or gate is installed right and will last you a long time. We don't believe in doing things the easy way, we believe in doing things the right way. We only use top quality materials to ensure the fence we install will last for years to come. If you are still on the fence about building your project, give us a call or fill out a form to talk to one of our experts who can answer any question you might have. We are here to help not to sell.